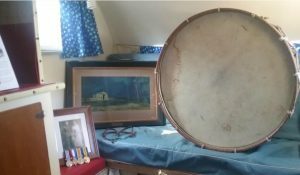 our Anzac legacy and what it means to us today. Dedicate a poppy to a WW1 soldier from their local area or a relative to be laid by the band in a commemorative service at the Australian National Memorial in France in November. Make up care packages and write a letter to send to current serving troops overseas. 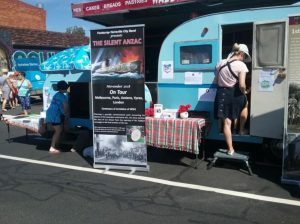 The Silent Anzac Road Show was recently launched at the Seddon Festival on 3rd March 2018 and received an outstanding response from the public with many poppies being dedicated and interest in the WW1 memorabilia.